If you’re renovating or building a completely new bathroom, you’re going to need to buy a new extractor fan. Here we show you some of the features you need to look out for and rank the nine best bathroom extraction fans you can buy in 2018. Read next: Best Kitchen Taps 2018. If you’re looking for a bathroom extractor fan with raw power, then you need to focus on the extraction rate. Obviously, the bigger the l/sec the better (litres of air per second). If your bathroom is part of an apartment block, then we suggest buying the Manrose MF100T (featured below) and having it professionally installed. 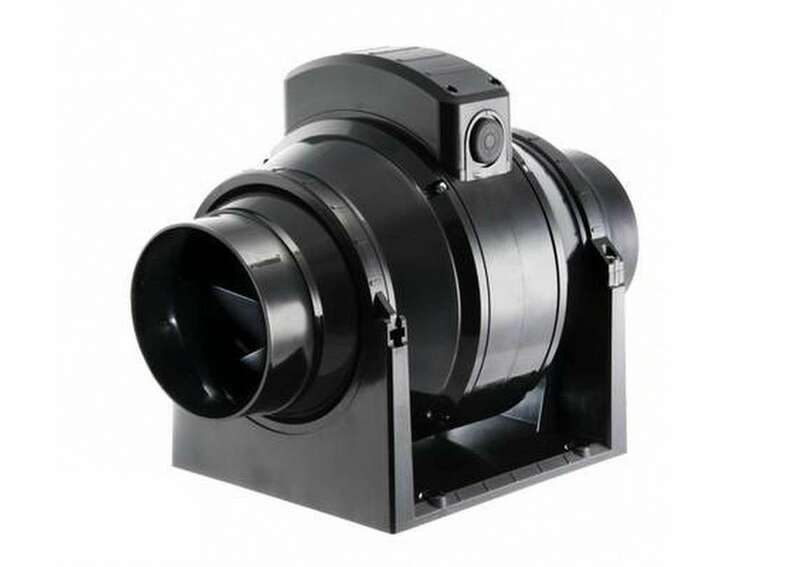 It’s 68 l/sec extraction rate is one of the best-performing extractor fans on the market and it’s specifically designed to sit inside walls where it can create maximum power while minimising the noise level. If you just want a standard bathroom extractor fan that performs well, then consider any of the fans featured below, but focus your attention on the l/sec performance. 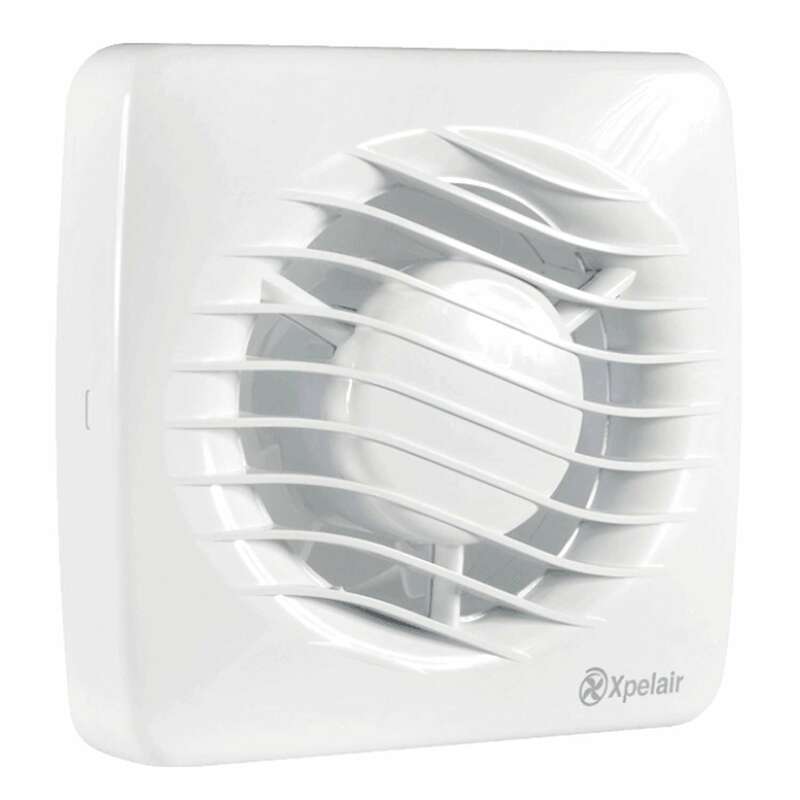 The Xpelair Premier CF20T is a competent, versatile and powerful bathroom extractor fan. The fan has adjustable litre per second speed settings at 10/17/24/28 – putting you in control of the power. Note that the speed you set will directly affect the noise level, equalling 20/20/37/42db. The fan also boasts a good level of autonomy. It comes with a built-in humidity sensor and a trickle facility that will keep your room passively ventilated, so you don’t have to worry. That’s not all. 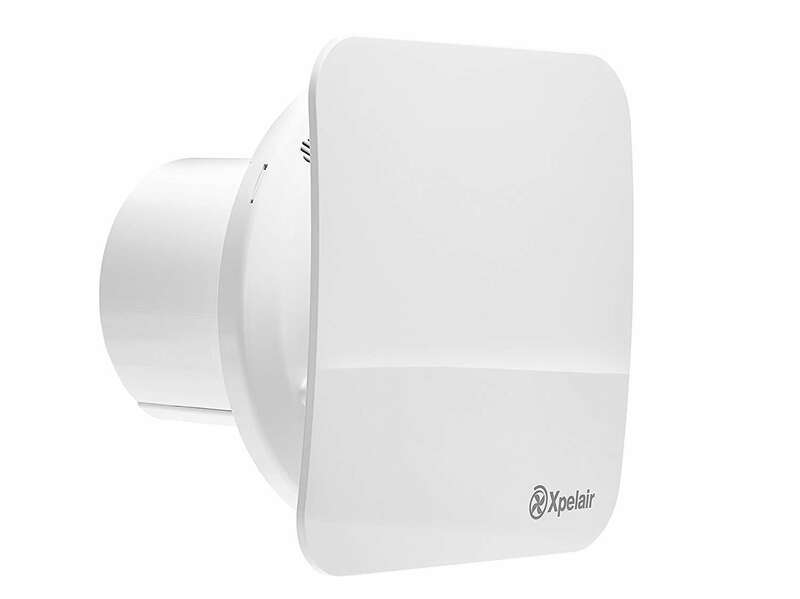 The Xpelair Premier also lets you control the overrun timer – ranging from 30 seconds to 20 minutes – and even has a “QuickSwitch” feature where the fan won’t kick in if the bathroom light is on for less than 120 seconds. There’s also the option of installing a pull cord for manual override. This is the most expensive bathroom extractor fan on this, by a long way. The main feature you’re paying for here is the two small screen on the front panel that displays the room’s temperature and humidity percentage. It also comes with all of the recommended features for an extractor fan. Including an override timer; humidistat; powerful fan; and operates at a low. 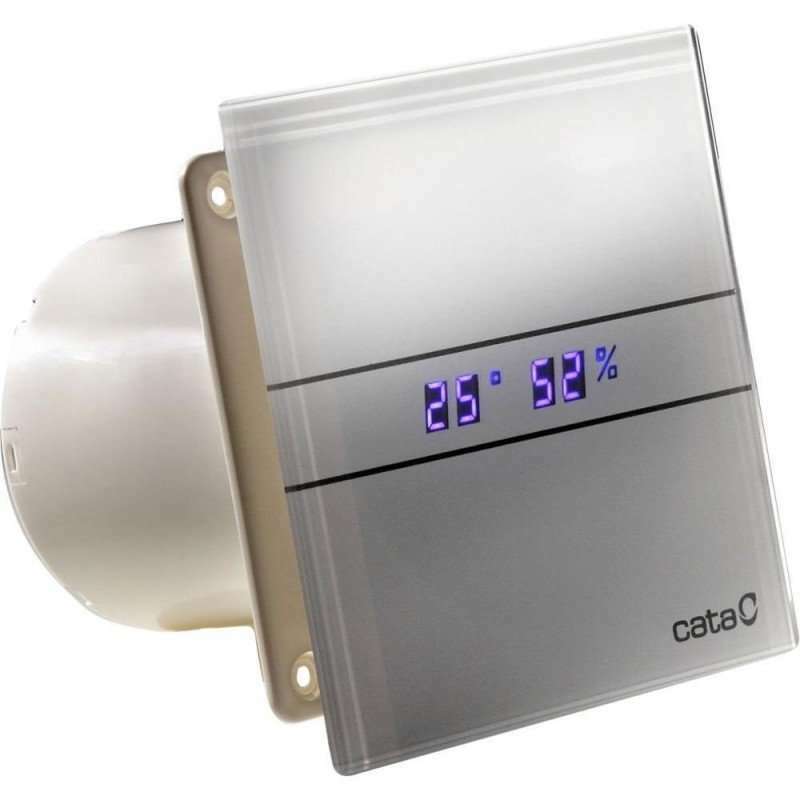 The Cata Bathroom Glass Extractor Fan boasts IP44 protection and is easy to remove and clean. If you’ve got the money, this is the best bathroom extractor fan you can buy. The 31.9 l/sec (air) extraction rate is impressive too. There’s a lot to like about the Airflow iCON range of bathroom extractor fans. Like the 15 (featured below) it’s an upgradable device, offering users the ability to purchase only the features (such as a switch off timer) they need. What we really like about the 30 is its raw power and relatively quiet operation. If you’re looking for a powerful bathroom extractor fan to return moisture levels to regular levels as quickly as possible, this is definitely worth considering. If you’re on a bit of a budget, but still want to move over 31 l/sec of air, then consider the Manrose CF200. It may not look like a conventional bathroom extractor fan, but its performance matches it more expensive rivals. The CF200H, featured here comes with a built-in humidity sensor too meaning it’ll only kick into action when it needs too. There is a slightly cheaper CF200T model (featured in the carousel below) that only comes with a timer if you’re looking to save money. Thre STERR BFS100LT-S extractor fan adds an element of style to your bathroom. A layer of LED lights sitting behind a brushed metal grid is the fan’s most unique feature. Aside from its good looks, it’s a mid-range extractor fan in terms of performance. Its 25l/sec air extraction rate is above average, as is its 25dB noise level. This STEER comes with a backdraught shutter and built-in timer. The only major feature it’s missing is a humidity sensor. If you’re looking for a metallic extractor fan to match your bathroom, this is a great option. 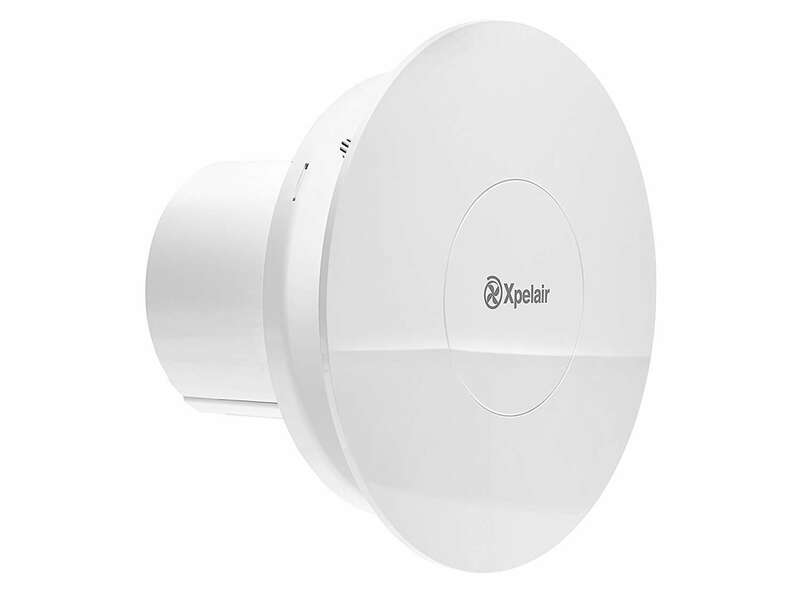 If you’re looking for a bathroom extractor fan that looks great, is near-silent and just works, then its hard to look past the Xpelair C4HTR. Installation is easy, with a twist and click fascia for So Simple installation and maintenance. The operation is just as straightforward. This model comes with a built-in humidity sensor (adjustable from 65% to 85% RH) meaning it’ll kick in automatically when it sensing moisture in the air. It also has an adjustable timer function ranging from 30 seconds to 30 minutes. Did we mention its the quietest intermittent bathroom fan on the market and its two-year manufacturer’s guarantee? Part of Airflow’s Red Dot Award-winning range, the iCon ECO is an excellent bathroom extractor fan. Its most unique feature is the iris shutter that automatically prevents backdraughts. Users will also like the two-minute delayed-timer, meaning short visits to the bathroom won’t trouble the extractor fan. For extra £17.09 customers, an also purchase the Plug-In Timer Module to take full control of the fan’s overrun timer. This is a great solution for anyone who wants *the* most powerful extractor fan, or for a bathroom where there’s no external window available. With an extraction rate of 68 l/sec, this is going to demist a bathroom in the fast possible time. The fan itself is just the motor and timer (up to 20 minutes, set upon install), meaning you’ll need to connect it to ducting and vents at either end, but this isn’t a difficult job for a professional or keen DIYer. The DX100 range is another versatile extraction fan from Xpelair. It comes at three price points, dependant on which features you want. The best, and most expensive is the DX100HTA. This fan comes with a built-in overrun timer (2 – 20mins) and a humidistat that will automatically turn on when it senses a room’s RH (relative humidity) reach levels between 50 and 90% (selectable at install). The Dx100T is the same fan minus the humidistat. The DX100 is just the standard fan with no timer or humidistat. The Xpelair C4TS is very similar to the DX100 above as it’s offered at multiple price points dependant on the features you want. You can buy this model with a humidistat and timer, or just the timer, or with neither and just have the fan. The main difference between the DX100 is that this has a front plate and is much quieter at 16dB. 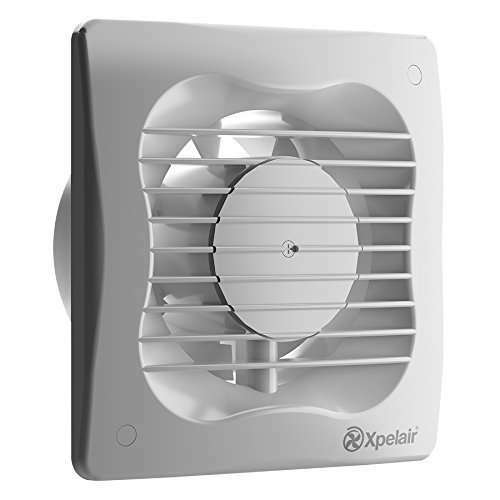 Thie Xpelair 93225AW is as straightforward and affordable as extractor fans come. It’s a single-speed 20 l/s extractor fan with a built-in overrun timer that can be adjusted between 30 seconds and 30 minutes at installation. Overrun Timer: This is a feature that allows the fan to continue running after its been switched off. Bathrooms without external windows (that allow rapid ventilation) are legally required to have an extractor fan with an overrun timer of 15 minutes. This is to allow sufficient time for an extractor fan to rid a bathroom of moist air. Back-draught Shutter: This prevents external air/wind coming through your ventilation duct. An important feature for winter months when you want to keep your house properly insulated and warm. Decibels: How loud is a bathroom extractor fan? Pay particular attention to this feature if you’re installing a bathroom extractor fan to an ensuite. Power Usage: How much power is consumed by an extractor fan? A good way to measure if a fan is efficient is by looking at its extraction rate (below) compared to its power usage. Logic dictates that higher power usages demand better extraction rates. Extraction Rate: This is one of the most important features you can look at. If you’re installing a bathroom extractor fan in the UK, then it needs an extraction rate of at least 15 l/sec (litre of air per second). Note that the fast the extraction rate, the faster your bathroom with be drained of moist air or bad smells. Humidistat (Humidity Sensor): This is an intelligent feature that automatically switches on the extractor fan when it detects certain levels of moist air. Likewise, it will automatically switch off when the levels of moist air fall below a certain level. Why do I need a bathroom extractor fan? Bathroom extractor fans remove moist air and unwanted smells from your bathroom. When you run hot water in a bathroom, moist air fills the room. If this air is not extracted quickly, it can cause aesthetic and structural damage to your bathroom’s walls and/or ceiling. For this reason, it is now a legal requirement to have a sufficiently powerful bathroom extractor fan. Building Regulations guidelines for England and Wales state that a bathroom fan must extract air at a rate of 15 l/sec (54 m3/hr). If your bathroom is an internal room with no opening windows that allow rapid ventilation, your extraction fan must also have a 15 minute overrun timer. Read next: Best Coffee Machine 2018.